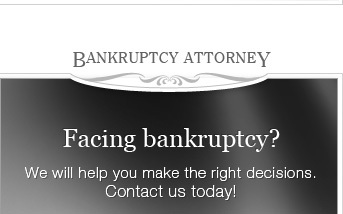 Filing for bankruptcy in Glendale, Montrose or La Crescenta? Thousands of individuals, families and businesses are under severe financial stress throughout the Glendale area. The economic downturn has led to job loss, mortgage problems and other financial difficulties for many hard working people. If you are one of the many people who need to get out from under crushing debt and move forward, a Glendale bankruptcy attorney from The Law Offices of Khachik Akhkashian can help. We provide legal representation in all types debt-related issues, including bankruptcy, whether chapter 7 or chapter 13 or chapter 11, as well as all the alternatives to bankruptcy. The first step in filing is to take the means test which, through a formula , determines whether you qualify for discharging your debt. There are thousands of people who qualify, and you could be in the position that you have the opportunity to discharge most of your unsecured debt. Our firm also can assist with legal action in debt settlement, debt negotiation, and debt relief, as well as take action against a company that is engaging in creditor harassment. You have rights under federal law, and we can help you fight back. If you are in the position in which you are threatened with repossessions, such as of your car or other important personal assets, our legal team can move ahead and help you avoid the embarrassment and losses involved. For those who are in mortgage trouble, we can provide legal counsel to arrange a short sale, deed in lieu, or take legal action in a foreclosure defense. Many people in the Glendale, Montrose and La Crescenta areas bought their homes during the subprime mortgage boom, and now face problems with a property that is financed far beyond its current market value. There are many opportunities to get this issue under control, and we can evaluate your personal situation and advise you as to the best course of action in your case . We serve the areas of Glendale, as well as helping our clients file bankruptcy in Montrose , or file bankruptcy in La Crescenta. We provide the client-focused, dedicated legal counsel you need. For those who need legal counsel to assist with immigration, visas, such as immigrant visas, non-immigrant visas, marriage and fiancée visas, and citizenship, our legal team can help. We provide the knowledgeable legal representation you need to help you through the process of getting green cards, whether family based green cards, employment based green cards or other urgent immigration matter. Those who are facing legal issues involving deportation/removal need immediate action as the system could lead to an immediate deportation and resolving the issue can become even more difficult. We serve those who need help with immigration in Montrose and immigration in La Crescenta. 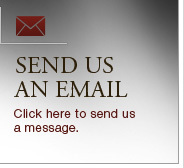 Contact a Glendale bankruptcy attorneyor immigration lawyerfrom our firm immediately for quality legal representation.